This would make a great stocking stuffer or just a great deal to grab for yourself! You can grab the Blackhead Remover Pimple Comedone Extractor Tool Kit for only $5.96 right now on Amazon! That is a BIG SAVINGS of 72% because this tool kit is normally $19.99! The professional electroplated needle and stainless steel antibacterial coating won’t cause sensitivity issues, helps minimize risk of infection, and the pimple extractor kit can work on all types of skin. Make sure that you grab this deal soon on Amazon because the prices can change at anytime! 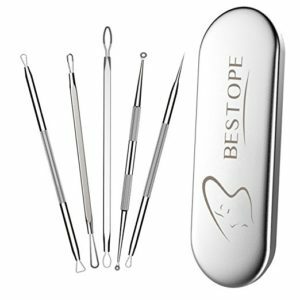 CLICK HERE TO ORDER the Blackhead Remover Pimple Comedone Extractor Tool Kit for only $5.96 today!